Ya Ali offers the most comforting amenities with a guarantee of a pleasant stay. 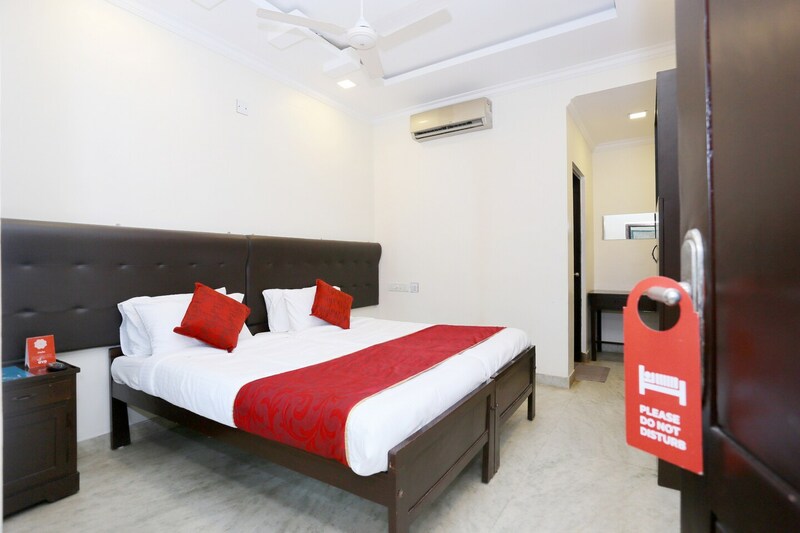 The rooms are equipped with everything that a traveller coming to Trivandrum would need for a comfortable stay.The rooms are bright, cozy and warm with modern furnishing provided which ensure guests basic needs and requirements are met. Comfortable bed with plush headrest and matching coloured wooden furniture enhances the positive ambiance of the place. The bathroom is tiled with basic provisions such as towels and various modern fittings are provided. The lobby area is bright with glass windows that give it a very open feel to the place. Guests can visit Sree Mahadeva Temple or spend a day at St. Andrews beach.